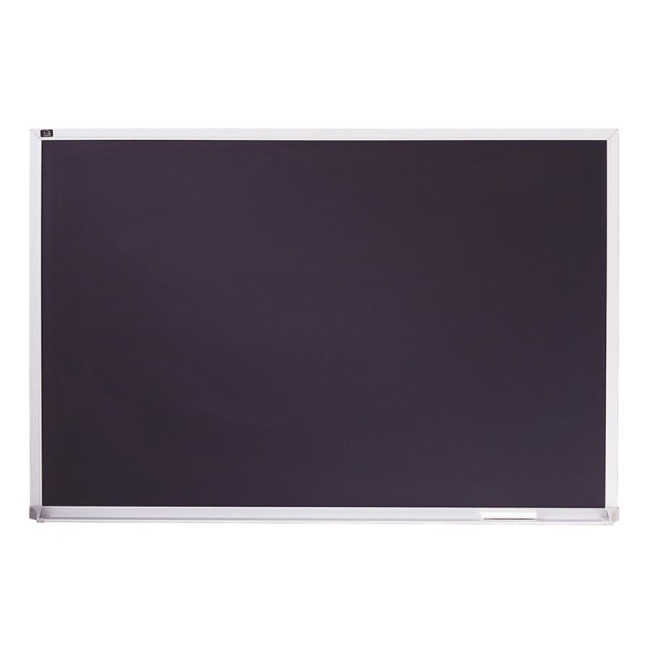 Practical, reusable chalk board with a porcelain surface doubles as a magnetic bulletin board. The satin-finished, anodized aluminum frame offers heavy-gauge crimp construction, and all four corners are precision-mitered for extra strength. Board design features a 3/4" frame face width and a full-length chalk rail with protective plastic endcaps for easy access to chalk and eraser. Board includes mounting hardware.